Swiss Army knives have been around for well over a century and it seems most of us have owned at least one one at some point in our lives. I’m often asked what is the best Swiss Army Knife…and it’s difficult to single out one model in particular so below I’ve listed my top 5 favorite SAK’s. Some believe that the Swiss Army knife was first introduced and manufactured by Wenger as part of a contract to produce knives for the Swiss Army back in the late 1800’s. 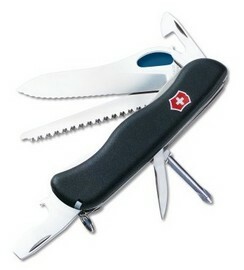 However, it was Victorinox (Karl Elsener) that invented the Swiss Army knife, and the first to manufacture it. Victorinox (in existence since 1884, but under a different name) got their first contract for military pocket knives in 1891, while Wenger didn’t show up until 1893. In fact, when Victorinox and Wenger were two different companies and in competition with each other. In 1908 the Swiss Army chose to give half of the business to Wenger and half to Victorinox. 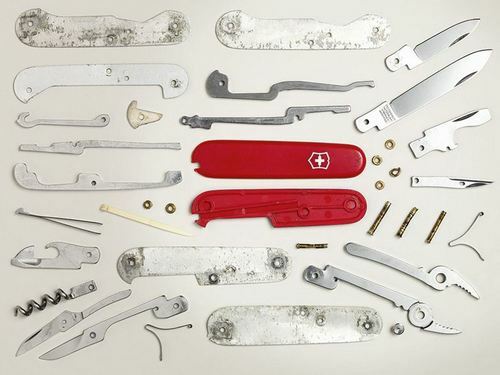 Victorinox was allowed to use the term “Swiss Army” on ALL of their products. 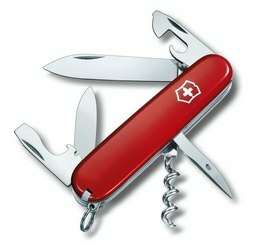 Wenger could use “Swiss Army” ONLY in relation to their pocket knives (for example, timepieces sold by Victorinox are branded “Swiss Army”. Wenger timepieces were branded as “Swiss Military”). 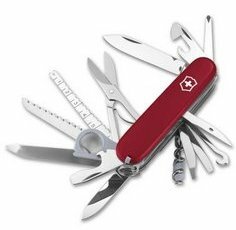 For the Swiss Army Knives, Victorinox used the term Original Swiss Army Knife whereas Wenger advertised as Genuine Swiss Army Knife. While arguments go back and forth as to which company made the better knife, they were both excellent knives, but it seems Victorinox somehow had better advertising or a larger loyal customer base. Fast forward to the 21st century and Victorinox was a much more dominant player than Wenger and in 2005 they acquired Wenger and became the single supplier of knives to the Swiss Army. 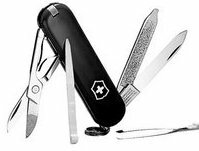 Victorinox allowed Wenger to continue producing Swiss Army knives until early 2013 when they announced that the Wenger brand would be merged into the single Victorinox brand. Interestingly, the term “Swiss Army knife” was originally used by American infantry during World War II as they struggled to pronounce the German term Schweizer Offiziersmesse. It can be considered to be one of the first ever multi-tools and is still going strong as a popular utility tool today. There is a wide selection of different Swiss Army knives today each with differing tool-sets and purposes but generally each is meant to be considered an Every Day Carry (or “EDC”) tool. In recent times some higher tech components have been included such as USB drives, LED flashlights and digital clocks. The Swiss Army knife is generally most recognizable in it’s red form though as you would expect there are plenty of other styles available today and black is increasingly popular. Many variants also come with an aluminum oxide (alox) handle which is typically the best choice for most outdoorsmen. Swiss Army knives are generally regarded as low-priced, value based products in the knife community and cannot really compete with the single blade tactical knives seen elsewhere on this site in terms of quality or performance. Still, they do serve a purpose and can represent good value for money when compared to other multi-tools. Many consider them to be a good ‘starter knife’ for junior enthusiasts and they can make great gifts. Below we have listed some candidates for the best swiss army knife. What more can be said about the Classic Swiss Army knife? Every household should not be without one and it’s the perfect gift for any junior outdoorsman or cub scout. On the Classic you get the main blade, scissors, file with screwdriver, toothpick, and tweezers. What’s more it now comes in a wide range of colors and designs. Sure, red is the real classic but why not black or perhaps the silver alox? The package is all very small and light at only 2.3 inches long and weighing 0.7 oz. Again, for the price (which is typically under $15 these days) you can’t go wrong with this one. If you’re looking to step it up a notch from the basic yet classic model, check out the Swiss Champ. This one comes with 33 stainless steel tools including a wood saw, corkscrew, screwdriver, magnifying glass, scissors and even a pressurized ball point pen. The Swiss Champ is essentially the most popular “do-it-all” Swiss Army Knife model but the sacrifice is clearly in it’s size and weight. The Swiss Champ measures a fairly standard 3.6″ long but weighs a whopping 6.5 oz. This multitool really does demonstrate excellent value for money and will undoubtedly come in useful during those MacGyver moments! For something a little different why not try the One Hand Trekker which as the name suggests is a one handed multitool that combines 12 stainless-steel tools including the locking serrated knife blade which can be deployed using your thumb. Other notable tools include a saw, Phillips screwdriver, can opener and wire stripper. The quality really shines here and Victorinox truly stands by this knife with a lifetime warranty. What’s more many vendors like Amazon are including the Classic Swiss Army knife for free!